Wish I heard this sooner!!! Got a dope track from Sav One (Fat Beats yall) for an upcoming release on Eternia's At Last album (Produced by MoSS) featuring Joell Ortiz... YAOOOOWA! Sounding crazy as hell, can't wait to hear the album come June 15th!! 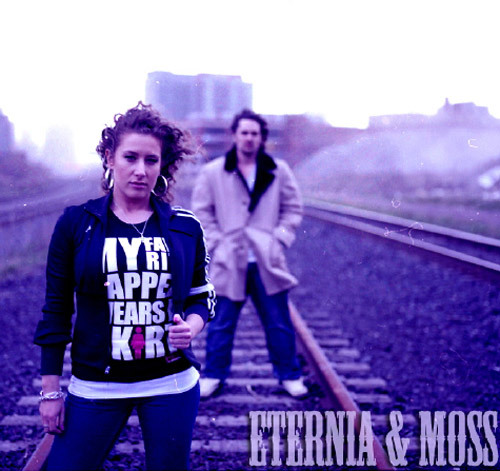 "In 2007, Eternia began recording her sophomore album with MoSS (a fellow Canadian), two years later the LP is complete and the title of the album says it all: At Last! Going where instinct took them, Eternia and MoSS’ collaborative union manifested into a sonically consistent album inspired by classic, boom-bap rap records (I.E. Ghostface Killah, Gangstarr, EPMD, Wu-Tang, & Nas)."